If you watched this year’s NBA Finals, you couldn’t help but notice two distinct narratives. One club was battling to win its first title in franchise history, playing for a city that hadn’t won a championship in 52 years. The other was the heavy favorite and impossible to beat, with as many records in the regular season as expectations to win the trophy. Title-starved, underdog Cleveland won, breaking the spell; too-good-to-lose Golden State crumbled before a superior force named LeBron James. 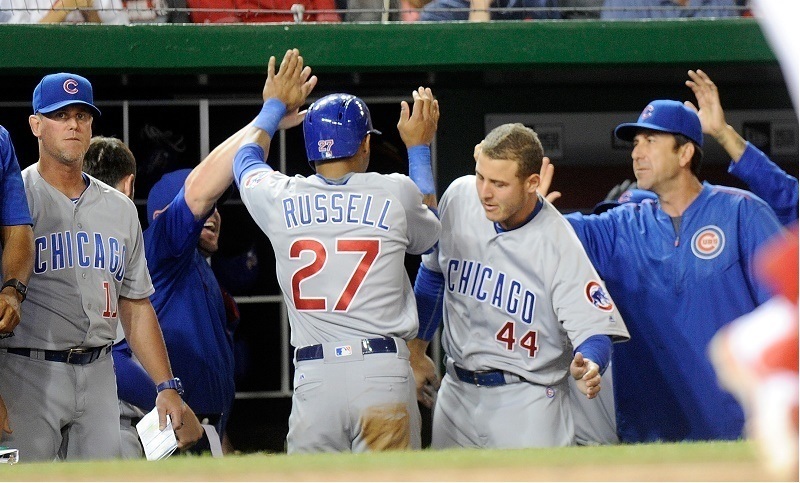 So, which will the Chicago Cubs turn out to be in 2016? Predicting baseball is a fool’s errand — even for the most informed insiders — so there is little point in pretending we have a definitive answer. However, we can look at different scenarios for this team as Chicago management tries to plan for the postseason. It doesn’t take much imagination to see how the Chicago Cubs end up like the Warriors did in the last game of the NBA season. You will not have a hard time seeing how the Chicago Cubs could steamroll to the NL Central title with guaranteed home-field advantage throughout the playoffs — the starting pitchers are impossibly stingy. The rotation has been the best in baseball in nearly every statistical category this season. Everything from wins (39) and ERA (2.34) to strikeout rate (8.85/9) and left on base rate (81.2%) suggests you can’t hit this group. Sure, nearly everyone is having a career year, but it wouldn’t be a shock if it continued, even through October. The Chicago Cubs’ bullpen has been solid in its own right, sporting a 3.45 ERA (tied for ninth in MLB) and five blown saves (tied for second fewest). A late-inning upgrade could make the ‘pen postseason-proof. Then there’s that offense and glove work. According to Fangraphs, only the Giants rank higher among NL clubs in team defense, while Chicago has the edge in ultimate zone rating (UZR). Sparkling defenders abound in both the infield and outfield, and the situation has been helped by the absences of Jorge Soler and Kyle Schwarber. Bottom line: The Chicago Cubs would be able to slug, pitch, and catch the ball as well as any team if it entered the playoffs at full strength. With the right bounces and clutch hitting, the club could have its first title since 1908. This scenario would be like Golden State taking out the Cavs in the Finals, with the heavily favored team fulfilling the impossible expectations rather than crumbling beneath them. Chicago may have a regular-season win record of its own by October, and the team could close the deal in a way Steph Curry’s squad did not. That would be the prettiest picture possible for the Cubs; one we haven’t seen in decades. Last to pull such an extended run of dominance was the 1998 Yankees, who followed a 114-win campaign with an 11-2 postseason run, including a four-game World Series sweep. The 2001 Seattle Mariners offer a cautionary tale for all concerned. Baseball being the game it is, you can just as easily pen a tale in which the heavily favored Cubs fall to a team like Washington in the NLCS. In a mid-June series at Nationals Park, the visiting Cubs were denied by Max Scherzer and Stephen Strasburg. 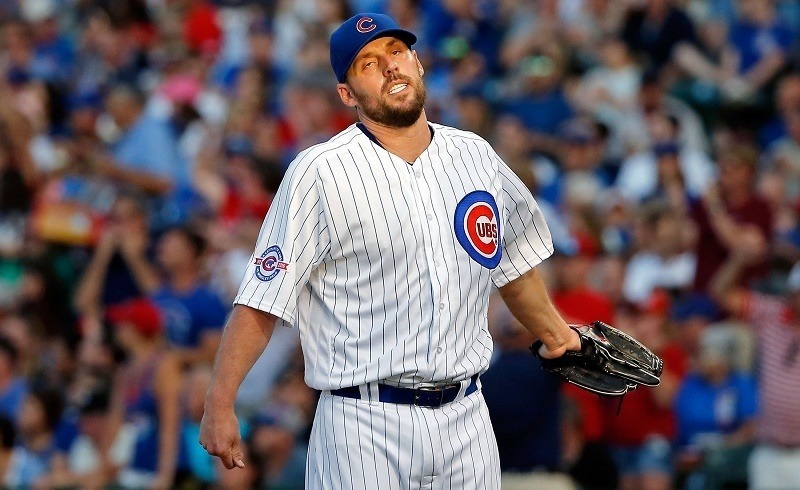 Cracks in Chicago’s bullpen were apparent, as was the lack of that Schwarber thump when a tough right-hander looked unhittable. Cubs fans might be nervous to see what regression looks like for the players who have gotten off to career-best starts. More importantly, there is the worthy opponent to consider, as Buster Olney pointed out in his blog. If the Cubs don’t draw the Nats in the postseason, they might draw the equally problematic Giants with Madison Bumgarner and Johnny Cueto. Or, a rematch between the Mets and Chicago would have Noah Syndergaard, Steven Matz, and Jacob deGrom in the other dugout. Another Daniel Murphy-esque run could do in the North Siders. Think of these guys as LeBron in spikes. Each of these scenarios assumes good health. Fowler and Soler are nursing injuries on the DL in June, and we have no idea what the rest of the season has in store. A marathon campaign may take its toll on the mightiest group, and the Cubs need to remain near full strength to end that interminable title drought. Otherwise, the Chicago Cubs could end up like Seattle and Golden State — record-setting teams that got outplayed when it mattered most. Statistics courtesy of Fangraphs.com and Baseball-Reference.com.